You’re getting ready to move into your new apartment and you’ve started thinking about home security. Many believe that one of the biggest advantages to buying a home, rather than renting an apartment, is the availability of wired or wireless, monitored security systems that are not available to many renters because they involve making additions/alterations to the property. However, those moving into an apartment do not need to forgo home security and the peace of mind it offers altogether. There are many ways to secure your apartment after you move in while working within the confines of your complex’s regulations. Here are some of our home security tips for apartment renters. Deadbolts and chain locks are some of the easiest ways to secure the door of an apartment. If you don’t already have a deadbolt or chain on the door, ask your landlord if it’s OK to install one or the other. Most landlords/building management companies typically won’t have a problem with this, as it is minimally invasive and very easy to install/remove. Check with the complex you’re planning on moving to and ask if this something they allow, but remember, this isn’t your only DIY solution. Once you’re unpacked, take a look at the metal frame surrounding where the deadbolt latch secures into the door frame, this is called the door’s strike plate. If the strike plate is old or worn, then it does not add much security to your apartment door. Doors with a full metal enclosures and longer screws are better for security. Lastly, burglars usually aim at door hinges on the outside of apartments because it’s the weakest part of the door. State Farm has some great suggestions to combat this, including using fast-riveted pins, for securing exposed door hinges. No matter which solution you choose, securing the doors should be on of your first tasks after moving in. Maybe you’ve moved to an apartment with a great view and are wondering how your picturesque windows will affect security. Securing the windows of your apartment is important no matter what, but especially if you live on the first floor. After you make sure the window locks are working properly, place a sturdy rod or stick in tracks of sliding windows and glass doors to prevent them from being opened even if the lock brakes. Also, avoid putting too many plants in your windowsill. It may look nice, but it’s more secure to have a clear view of what’s happening outside your windows at all times. Lifeshield and ADT both offer simple, wireless security options for those who can’t install more robust systems in the place they’re moving to, like apartment renters. You can also use your existing PC along with a webcam to craft a DIY video security system. This article from MakeUseOf.com details how to go about setting this security system up. For extra security, look at devices like Doberman, a window-mounted alarm designed to detect significant vibrations. Renter’s insurance is something that many people forgo simply because, let’s face it, who wants to make another monthly insurance payment? However, it’s important to note that, in many cases, it’s actually cheaper to carry renter’s insurance than to not carry it. That’s right, depending on the insurance company and what you qualify for, there are many cases in which you may actually be charged less for auto and renter’s insurance than you would for just auto insurance. Since you will need to update your insurance policies after you move anyway, take this opportunity to talk to your insurance provider about renter’s insurance. Many states require that all drivers carry auto insurance to begin with. This is an excellent way add to home security. These few steps can go a long way to making your apartment more secure. As you can see, home security doesn’t have to be complicated or cost a lot. Following these steps will also keep you in line with most apartment complex’s building regulations. 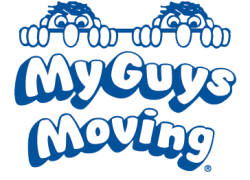 Check out our blog for more moving tips.